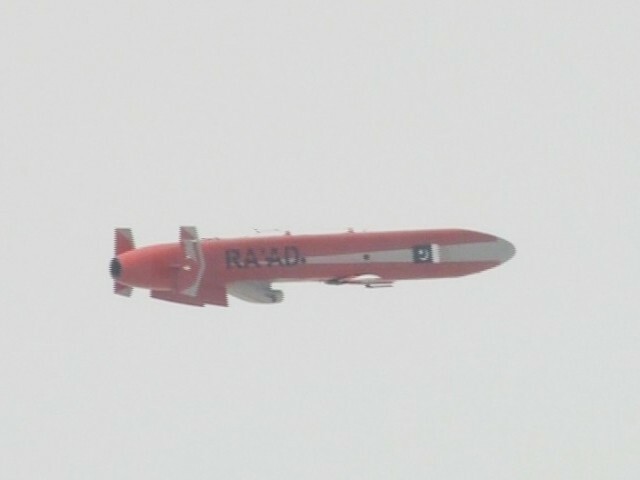 RAWALPINDI: The main ceremony with regard to Defence and Martyrs Day was held at General Headquarters (GHQ) Rawalpindi on Thursday, with Prime Minister Imran Khan, Chief of Army Staff General Qamar Javed Bajwa, senior civilian and military leaders, and other dignitaries in presence. 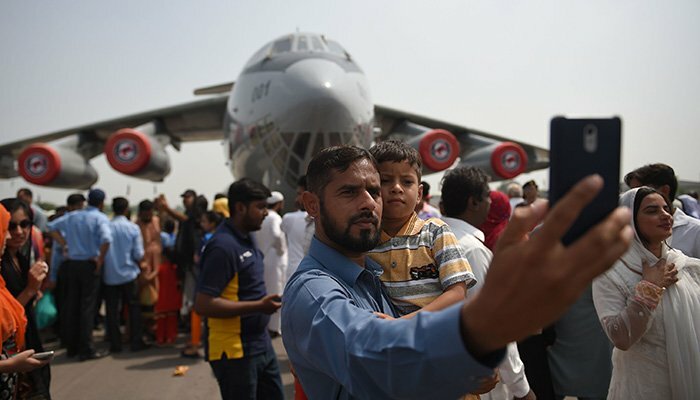 Families of martyrs, members of the federal cabinet, heads of political parties, lawmakers and celebrities were also among the attendees at the ceremony. 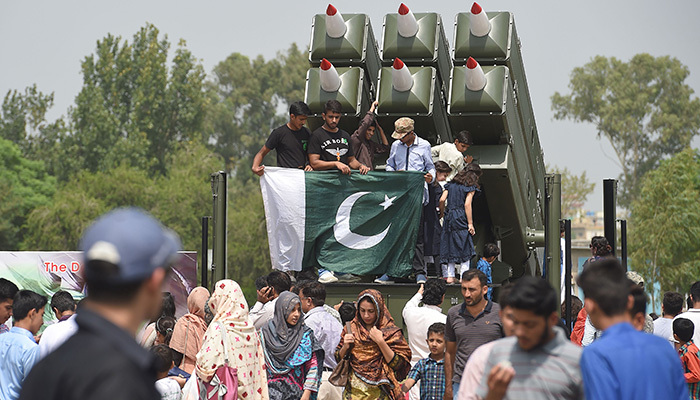 The Pakistani nation celebrated the day to pay tribute to its martyrs on the 53rd anniversary of the 1965 war. 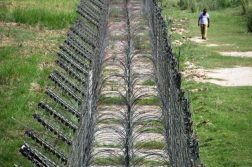 On this day, 53 years ago, Indian forces had crossed the international border in the darkness of night to attack Pakistan, but the nation foiled the nefarious designs of the enemy. 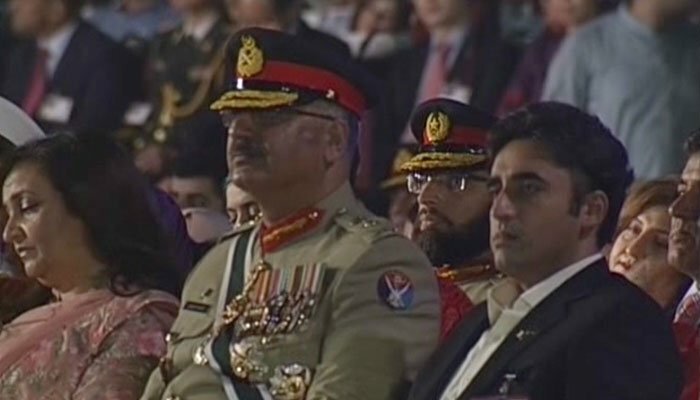 Addressing the ceremony, the COAS said today was a day of solidarity with martyrs of Pakistan and that they all were united for the defence of the motherland. He said that September 6 was an important day in the country’s history and that they had learnt a lot from the 1965 and 1971 wars. Noting that more than 70,000 Pakistanis were martyred and injured in this war, the army chief vowed to collectively fight this menace of terrorism. General Bajwa said the country passed through a very difficult phase during the past two decades and the war is still continued. He also said that continuity of democracy was necessary in the country. 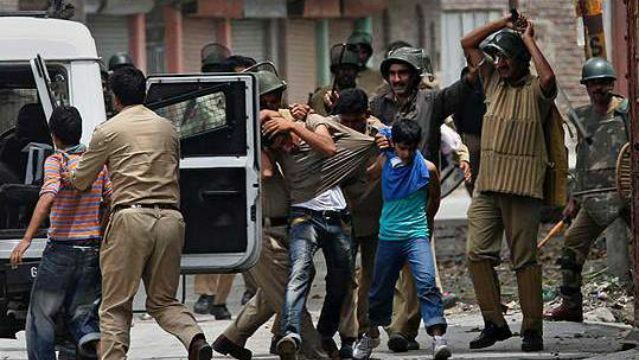 The army chief further paid a tribute to the Kashmiri brethren for their struggle for right to self-determination. Following the address, the prime minister, together with the army chief, laid a floral wreath on the martyr’s monument. 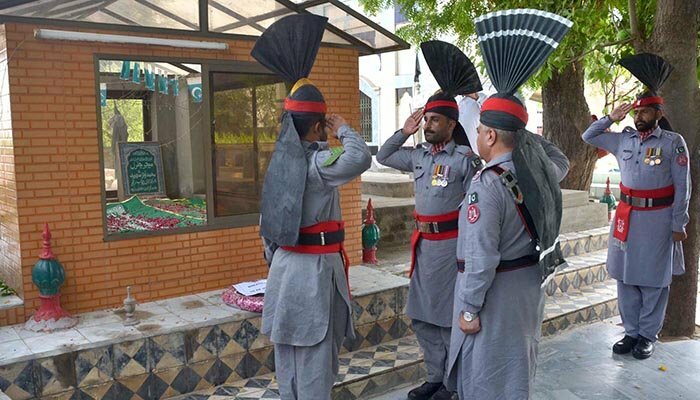 Earlier in the morning, a change of guard ceremony was held at the mausoleums of Quaid-e-Azam Muhammad Ali Jinnah in Karachi and at Allama Iqbal’s in Lahore. Special events to pay homage to the martyrs were also held at all district headquarters, with families of martyrs participating in them to commemorate their sacrifices. Wreath laying ceremonies were also held at the mausoleums of the recipients of Nishan-e-Haider and attended by senior officials of the respective areas across the country. After fajr, special prayers were offered in mosques for the country’s progress and prosperity. Fateha and Quran Khawani events for the martyrs were also held later in the day. 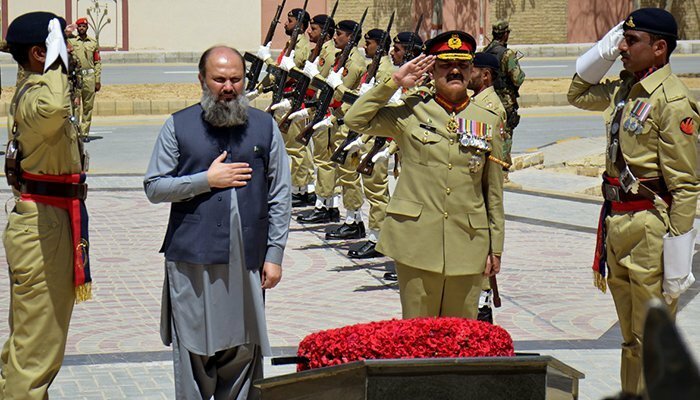 The Balochistan Chief Minister Mir Jam Kamal and Lieutenant General Bajwa jointly laid a floral wreath to pay homage to martyrs who laid down their lives for the defence of Pakistan. Photo taken on September 6, 2018, in Quetta, Balochistan. 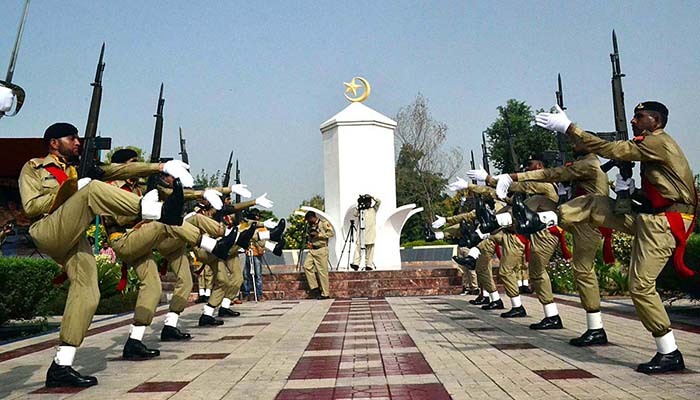 Change of guard ceremonies were held at Mazar-e-Quaid in Karachi and at Allama Iqbal’s mausoleum in Lahore. 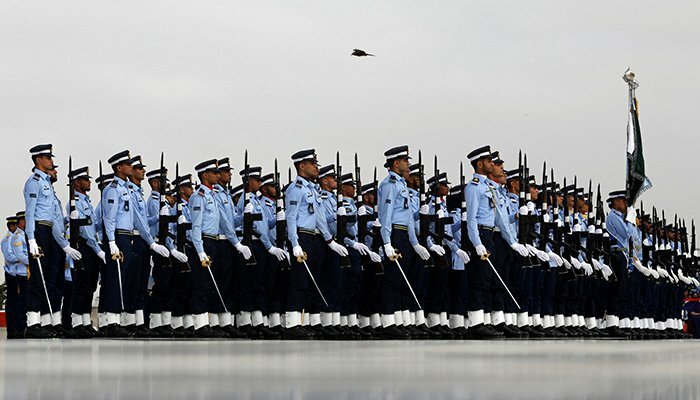 During the ceremony at the Quaid’s mausoleum, a smartly turned out contingent of Pakistan Air Force assumed guard duties. In Lahore, Garrison Commander Major General Muhammad Aamir laid a floral wreath and offered Fateha. Meanwhile, a special ceremony to mark Defence Day is in progress at Fortress Stadium in Lahore under the aegis of Pakistan Army. Punjab Governor Chaudhry Muhammad Sarwar is the Chief Guest on the occasion. 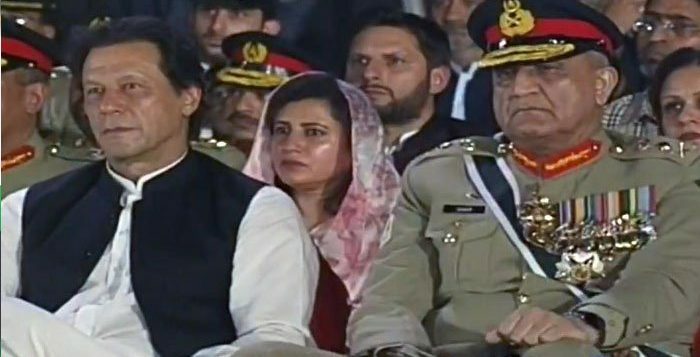 Punjab Chief Minister Sardar Usman Buzdar and Corps Commander Lahore Lt Gen Aamir Riaz are attending the ceremony. Pakistan Navy organised a special ceremony at Naval Headquarters in Islamabad. 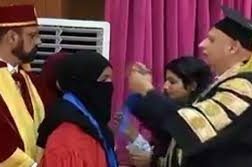 Vice Chief of the Naval Staff Admiral Kaleem Shaukat was the chief guest. On the occasion, the message of the Naval chief was also read out in which he highlighted the role played by Pakistan Navy in the 1965 was. 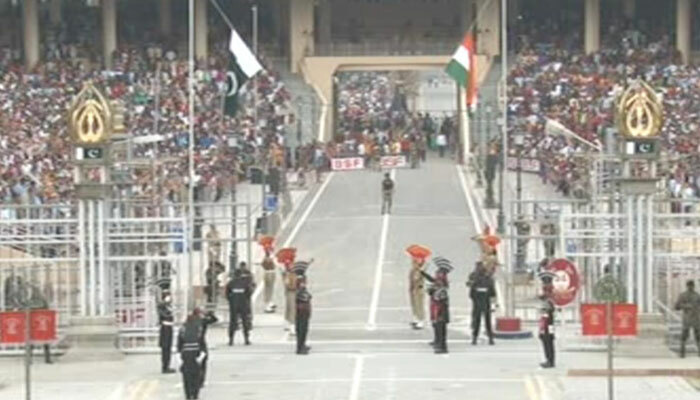 Hundreds of citizens turned up to witness the flag-lowering ceremony at Wagah border crossing in the evening on Thursday. 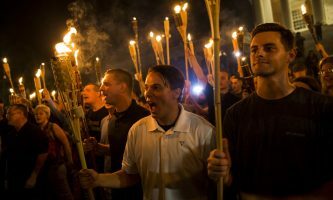 The spectators paid tribute to the martyrs chanting slogans in support of the armed forces of the country. 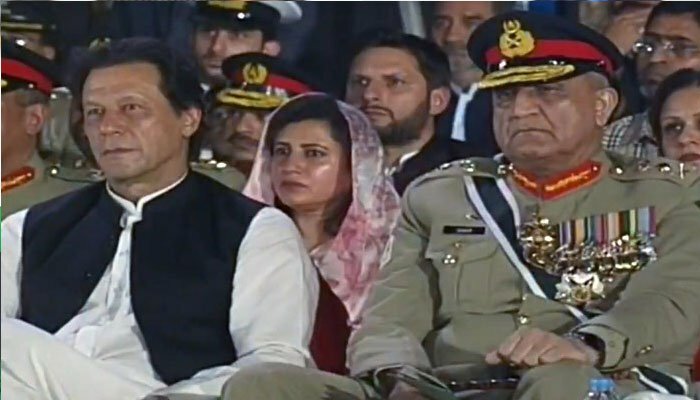 Prime Minister Imran Khan in his message to the nation on Defence Day said that the people of Pakistan will leave no stone unturned in defending their motherland. 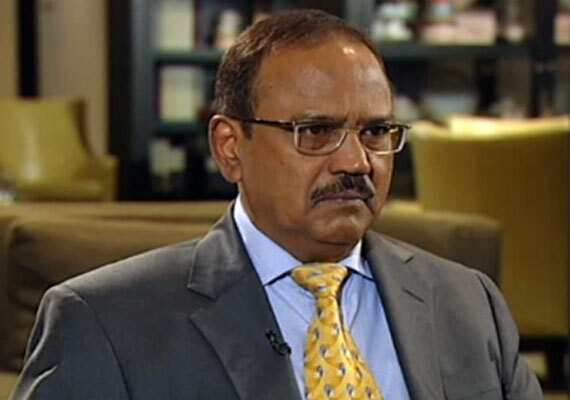 We stand side-by-side with valiant armed forces of the country, the premier said. “We will face all challenges while following Quaid-e-Azam’s principles of unity, faith and discipline,” he continued. 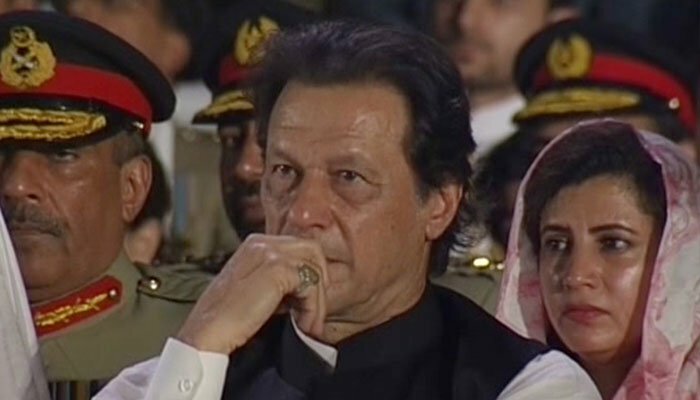 PM Imran also paid rich tribute to the martyrs for their sacrifices in defending the motherland and assured their families that every possible step will be taken for their welfare. 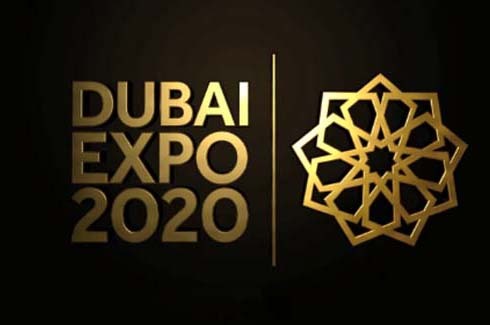 “Pakistan believes in peaceful coexistence and wants to promote mutual cooperation with the world, including neighbours on the basis of equality,” PM Imran added. President Mamnoon Hussain said that people of Pakistan demonstrated unsurpassed national unity. Army Chief Gen Qamar Javed Bajwa paid tribute to the martyrs and their relatives on the occasion. Several politicians and ministers paid tribute to martyrs of the 1965 war. 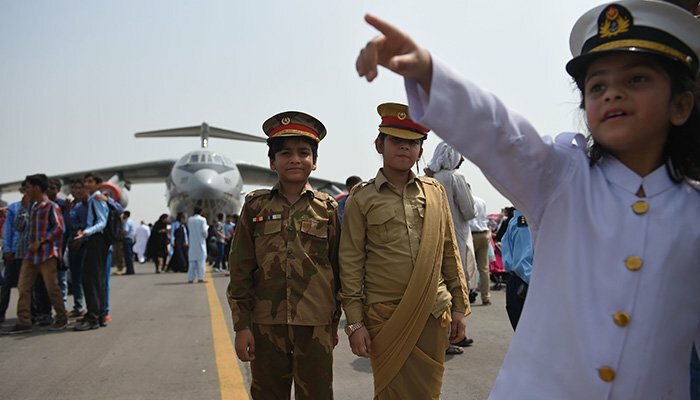 Information Minister Fawad Chaudhry said Defence Day serves as a reminder to the enemies that the “armed forces and Pakistani nation were, are and will stay united for the sake of country’s defence, progress, dignity and sovereignty”. 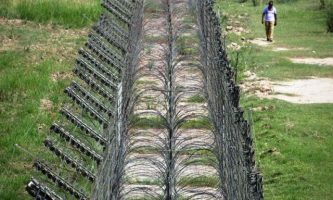 “Today, we will also have to reaffirm our resolve to make Pakistan a welfare and impregnable power whilst emulating the spirit of September war,” Chaudhry added. Meanwhile, Balochistan Chief Minister Jam Kamal reiterated the pledge to revive the spirit of unity of September 1965 in confronting new challenges. 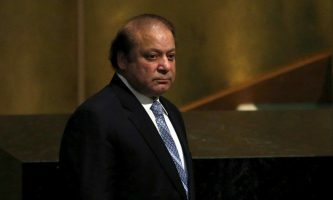 “Pakistan Army is now writing a new chapter of gallantry in the war against terrorism for the stability of the country and are rendering invaluable sacrifices for purging the country of the menace of terrorism,” he added. Pakistan Peoples Party chairman Bilawal Bhutto Zardari said that those who sacrificed their lives for the nation are our heroes and will forever be remembered.